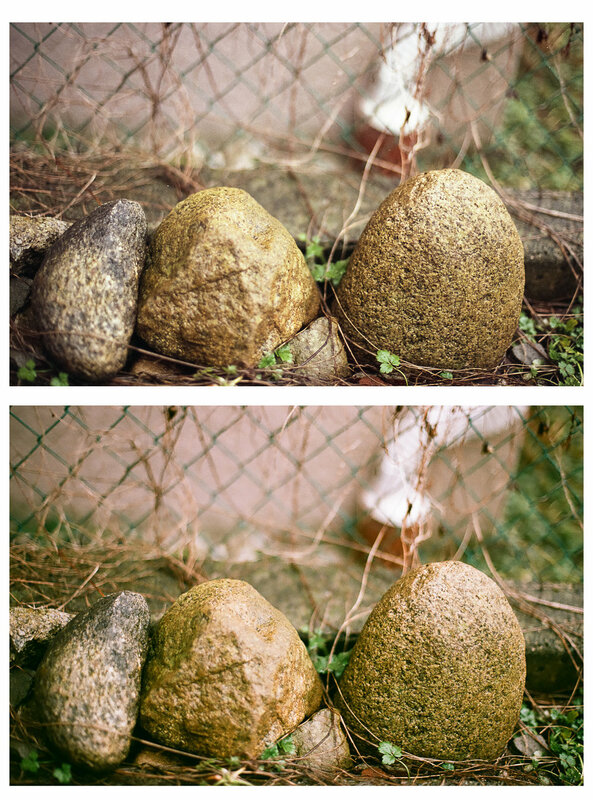 For the roll we recently shot and had processed locally, I wanted to compare our at-home scans with the scans from the lab. The advantage to scanning at home is the cost-savings, convenience, and if done properly, the quality can be better. We have an Epson V600 - it is a dedicated photo scanner and scans in high-resolution, up to 6400x9600 DPI. I have also seen tutorials where you actually take a series of macro shots of the negative on some kind of light box, which produces the best results, according to these tutorials! Once scanned using the Epson, the accompanying software will assign an .icc profile to the image file (in whatever format you specify, either JPG or TIFF) so that the image appears "correct." On the left are the at-home scans, which are scanned in higher resolutions than that of the lab (our request for the lab to do low res scans). The scans from the lab are on the right - they are scanned at a lower res but are still great for a 5x7 print. I haven't inquired to how the lab deals with colour correction of the negative, whether it is a profile or a software that tweaks the channels - so as I always recommend, do your own research! Sans any edits to the jpg in Lightroom - these are straight from the scanner and on the left with the .icc profile assigned. Notice how much better the lab scan looks. With some light edits to the jpg in Lightroom. The yellows aren't as warm, but overall the lab scan looks better. Sans any edits to the jpg in Lightroom - these are straight from the scanner and on the left with the .icc profile assigned. Notice how much better the lab scan looks, if not a little bit on the green side. With some light edits to the jpg in Lightroom. It's not as warm and has more of a green tint, but overall the lab scan looks significantly better. Sans any edits to the jpg in Lightroom - these are straight from the scanner with the .icc profile assigned. 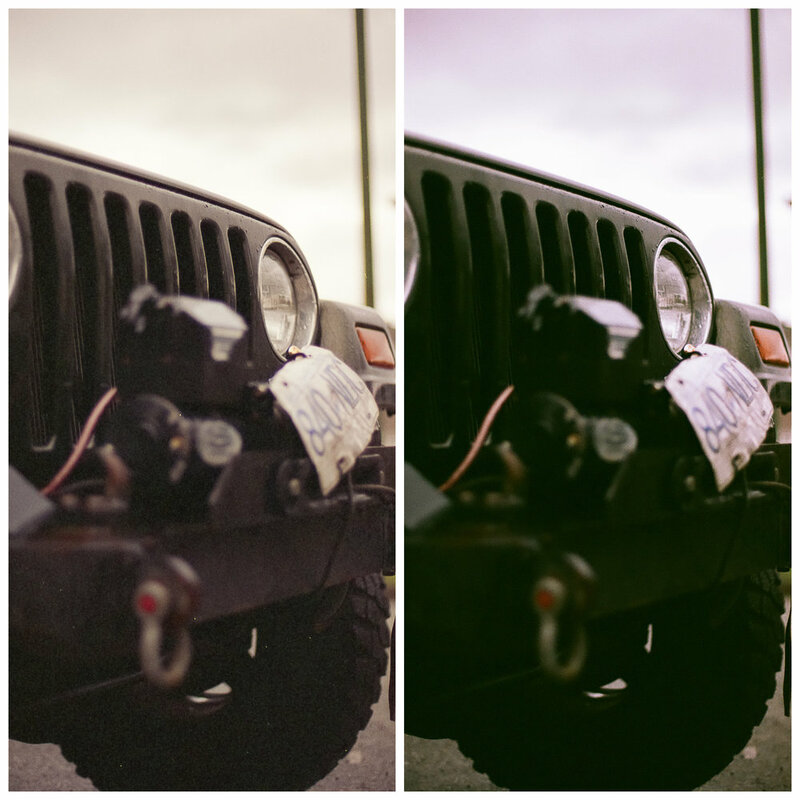 Notice the difference in tint, and also the blacks look less "muddy" from the lab scan. With some light edits to the jpg in Lightroom. Again, the scan from the lab has less of a red/more of a green tint, but overall looks better. Sans any edits to the jpg in Lightroom - these are straight from the scanner, the at-home scan with the .icc profile assigned on the top. 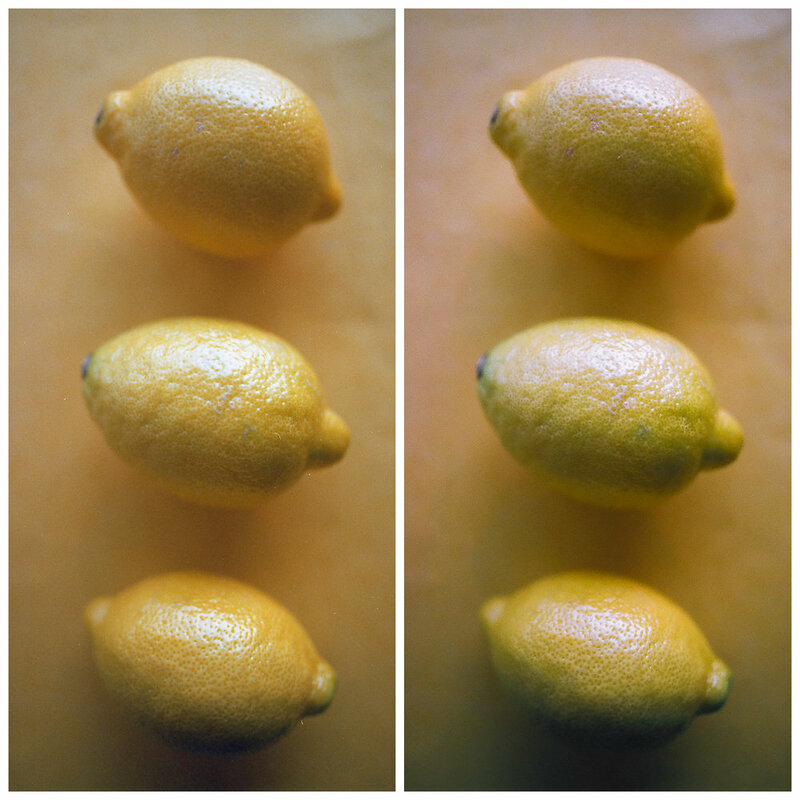 The at home and lab scan look quite similar in this image, but again we see the difference in the tint. With some light edits to the jpg in Lightroom. Again, the scan from the lab has less of a red/more of a green tint, but for this image the lab and at home scans are similar, as are the edited versions. This is probably due to the actual subject in the image.